AMCA, the not-for-profit association which monitors standards and certifications of ventilation technology systems worldwide, has given its endorsement of the consistent credibility of the German manufacturer’s data on air performance and energy consumption for energy-saving EC fans. At its headquarters in Germany, the company operates the world’s largest combined test chamber for fans. “This is a tribute to our long-term commitment to the reliability and accuracy of measurement data,” says Ziehl-Abegg’s Chief Executive, Peter Fenkl. The certification of the EC fans is a great counterpart to the long awarded certification of the company’s AC products. 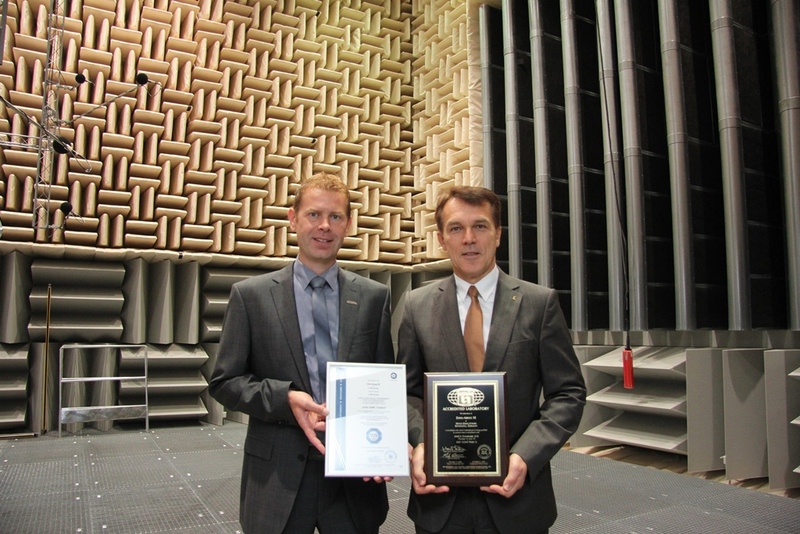 Both certifications attest to Ziehl-Abegg’s position as a technological leader in aerodynamic and energy-saving fans. With a high level of vertical integration in manufacturing, the company produces fans made of steel, aluminium and plastic. The modern energy-saving fans are powered by external rotor motors with integrated control electronics – the external rotor technology was developed by the founder of the company, Emil Ziehl. “When EC fans are installed by our customers they must be able to have total confidence in the quoted measurement values” explains Fenkl. In many installation situations the individual measurement values for EC motor and ventilator can no longer be measured as they become lost in the overall system. “This is why we have been operating the world’s largest combined measurement and test chamber for fans in Künzelsau since 2008,” said the CEO. State-of-the-art, high-precision measuring instruments, plus regular training for employees, combined with regular inspections by external organisations such as AMCA or TÜV, are quite costly. “But in the interest of providing credible measurement data this is not an area in which we cut corners,” emphasises Fenkl.